Highly Recommend written by mobile Yongle dumplings. Prompt delivery and good, yummy in taste. Previously given a cooler bag for 3 pkts & above free when delivered but now they just wrapped in cooler envelope. Prefer the cooler bag. Highly Recommend written by mobile Return customer! My fam loves the dumpling! This time try new flavor! repeat purchase, still the best flavour! Delivery is prompt and received in good condition. Hope it taste good as all the reviews. 3rd time purchase, nice taste as usual . Friendly n helpful delivery man, tks. Hi. I tried to order 4 packs of chives and pork. However, the payment failed. And the reason was because item is out of stock. However at the drop down list, there are > 100 chives and pork left. May I know what is the actual problem? And how i can proceed with the Group Buy. ($6.90+$3) per pack for chives and pork. From my point of view it's due to Qoo10 payment gateway error. 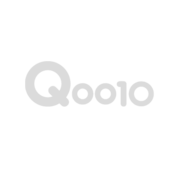 You may write into Qoo10 customer service with regads. Thank you for supporting Yongle Dumpling. I had lookded into with regards to your inquiry, i had no issiue with adding qty in my cart. Feel free mto try again if not you may write in with Qoo10 customer service. When is the expiry date for cabbage and pork? Our dumpling are freshly made daily and able to last up to 5 math in freezer.